If you're looking for an easy to grow vegetable for the garden, that is going to produce a lot of bang for the buck, look no further than squash! There are so many different varieties to choose from -- hubbard, acorn, butternut, crooked-neck, zucchini, spaghetti -- there's sure to be one your family will enjoy. And with the way squash plants produce you're bound to share with neighbors as well! Before you get started growing squash, there are a couple things you need to know prior to planting. 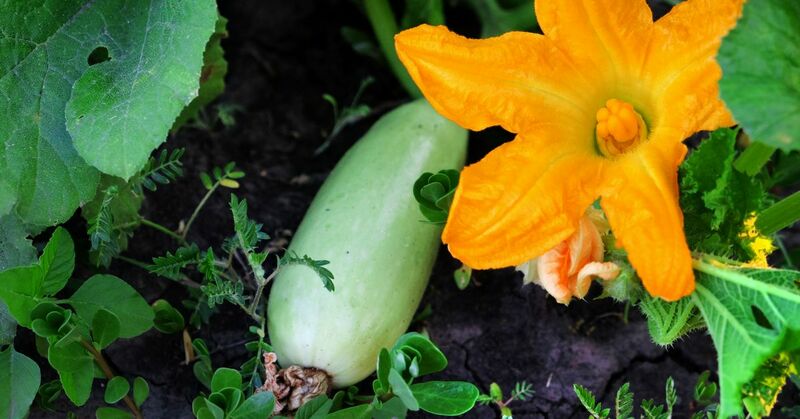 Squash plants do best in garden locations that receive a lot of sun and have really fertile soil. They want a spot in the garden that receives a minimum of 6-8 hours of direct, unfiltered light daily. Plants also prefer well-drained soil so their roots don't get soggy, which increases the chances for root rot and oxygen deficiency in the root zone. Properly watering squash plants is as important as it is with any other garden vegetable. The quick growing plants need plenty of water to keep up with all of the processes occurring within the cells. Give plants at least 1 - 1.5" of water weekly; more in hot, dry climates or where the wind blows strongly and dries the soil out quickly. Avoid getting water on the foliage if possible -- drip irrigation is a great way to keep leaves dry. Or you can use an ancient method of watering where you bury a plastic or terra cotta pot next to the plants and then fill the pot with water. It will slowly seep out, irrigation the squash. Permaculture Research Institute does a great job explaining the practice of irrigating with ollas if you are interested in learning more. Squash, like other vining plants, are considered to be heavy feeders. This means they need more nutrients for growth than their typical counterparts. A higher fertilizer requirement is due in part to the large amount of vegetative growth, as well as the size of the squash being produced. Make sure to fertilize every 3-4 during the growing season to give them the food they need to grow well. Check out Back to the Basics for more in-depth information on heavy feeders. When squash gets close to being ready to harvest, they will mature quickly. Make sure to go out and check the vines every day for fruits that need to be harvested. If you aren't actively checking the vines the squash can quickly become too big and the flesh will start to toughen.